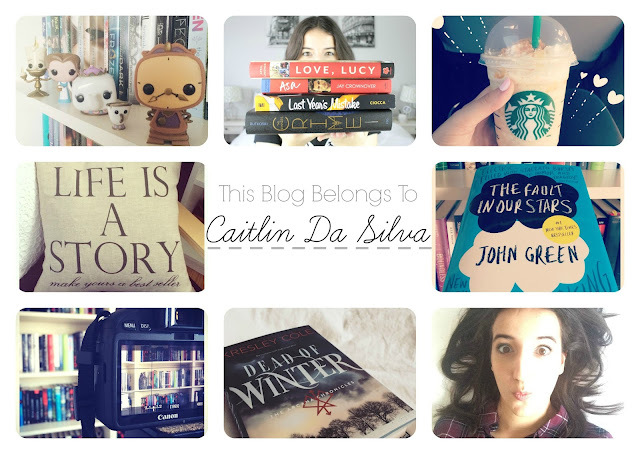 My name is Caitlin Da Silva and I'm an eighteen-year-old book blogger, YouTuber, and dedicated bookworm. My name is Caitlin Da Silva and I'm an nineteen-year-old book blogger, YouTuber, and dedicated bookworm. I’ve been part of the online book community since January 2012 and have used both my blog and YouTube channel to review and promote books within the Young Adult (and sometimes New Adult) genre. My love for books started in 2008 with a series I'm sure you're all-too-familiar with—Twilight (yes, I thought Edward's sparkly skin was dreamy, and yes I may or may not have went through a slight obsession stage....but honestly, who didn't?!). Since then, I have turned to books as an escape from reality and an opportunity for adventure....there's a lesson to be learned from every story— fictional ones included. My goal when starting The Y.A. 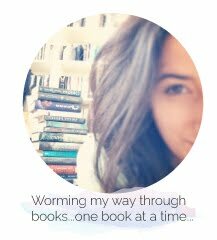 Bookworm Blogger was to create an environment where enthusiastic readers could join together and spread the reading magic; over the past three years, I’ve worked with major publishing companies and independent authors to make this goal a reality. The Y.A. Bookworm Blogger has even been named one of Simon Teen Canada’s “Top 5 Canadian BookTubers” and featured by Huffington Post as one of their “Amazing BookTube Channels To Suit Every Reading Personality.” Most recently, The Y.A. Bookworm Blogger was named one of CBC's "10 Canadian Booktubers You Should Be Watching." When did you start The Y.A. Bookworm Blogger? I started the blog on January 4th, 2012 and I started my YouTube channel on January 29th, 2014. How did you come up with the name "The Y.A. Bookworm Blogger?" What is included in each of your book reviews? In addition to my written review, I also provide the cover image, the name of the author and publisher, page number, synopsis, and a rating out of five. The synopsis, page number and cover image are all taken directly from goodreads.com and/or chapters.ca. What do your ratings even mean?! 5/5- Loved, loved, loved it! Go out and buy it RIGHT now! 4/5- Really liked it, but there were a few "ehhhs"
2/5- I didn't like it but it had a few things I enjoyed. 1/5- Hated it- don't even bother! Do your reviews contain spoilers? I do my best not to include spoilers in my reviews! The only exception would be in sequels (I usually will recap what happened in the previous book/books ). Note: Proceed with caution when reading Memory Lane Monday posts. I'm an author/publisher and am interested in asking you to review my book, can I contact you? Of course, I'd love to hear from you! Please be sure to take a look at my review policy before sending me a review/tour request. Sometimes, requests do end up in my spam folder, so if you are worried I haven't received your request, feel free to send it again! You can find out that information on my Contact Me page! It is important people understand that sometimes essay writing is crucial. One can actually sharpen one's skills and vocabulary to get a write a nice essay. But nowadays what happens is students get too engrossed in their part time jobs and other classes that their assignment starts to pile up. In this scenario, a student should check 10 things before submitting the essay . This would help a lot. Hello. You're doing great to read books. Because modern youth rarely read them. And about many things, those that are considered classics, did not even hear. But books are not only new knowledge, they can also teach something useful, as well as correct moral values. Provided that the book is really good, and the author put his soul when she wrote. Reading books also develops erudition, and it helps. For example, during writing a research paper or other papers.